November, the month with frequent school breaks is here! Well at least for NJ, NJEA convention 2011 is taking place this week, on Thursday Nov 10, and Friday Nov11. What to do? With a chance of showers according to the forecast, we’ll be focusing on some indoor play spaces. 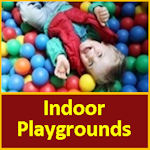 A new indoor play place opened up in Riverdale NJ — Play Your Way http://www.playyourwaynj.com/. 271 Livingston St., Northvale NJ in Strip Mall. Wiggles and Giggles is now closed! Although the toddler area is closed, Funplex is still open and active. 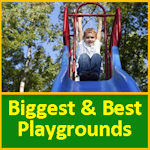 Check out our latest review on this great play place in East Hanover! 400 Fairfield Road, Fairfield, NJ. $9.75/admission. Free internet access (wireless)! CLOSED FOREVER!!! NJ Childrens Museum last day was September 1, 2014. They were renting the building, and the building got sold to Valley Hospital. So sad!! Thanks to NJCM for all the fun times! We will leave this post up for historical reference.